Travel Tips Category Posts. Please also see other categories below. In another excerpt from our Angel Holidays India guide,? here is?day 8 of our forthcoming tour; our visit to Keechan in the middle of the?desert.? We’ve come to Keechan, and oasis in the middle of the Thar desert, and?in comfortable accommodation; tonight we can?dine with tables set on the lawn and beneath?a desert sky. Tomorrow?we’ll hopefully witness something unique. ?We’ll?drive to?the village of Keechan, which is inhabited?by a?community of?Jains.? Jains follow the principle of non violence. They are vegetarians, and do not eat anything they consider that has a soul or potential life. ?Traditionally this includes eggs and root vegetables. Root vegetables are thought to have souls because when a piece of onion, garlic or potato falls to the ground it can grow again. Aubergines are full of seeds and thus considered to have souls. Jains eat dairy products; rice, bread etc : anything that does not fall into the category. They often sleep with a mask over the mouths to avoid swallowing insects.? 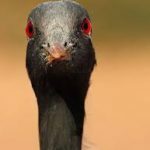 In Keechan, Jains developed a special relationship with the Demoselle Crane, a large bird, with especially adapted lungs to fly high over the high Himalaya on their migration south.? Each morning?the?Jains?feed the birds,?an epic?flock of around 25,000 birds?that turn the sky grey.? We’ve come to witness this phenomenon.? Later we drive towards the Pakistan border and to magical Jaisalmer, with its fort?towering out of the?desert like something from Arabian?nights. We’re staying?here two nights with free time to enjoy its?bazars, desert culture and striking sunsets from the citadel walls. In India, electric sockets and plugs?are more often than not (they can?vary) like the picture here: three large round pins (the head pin bigger than the other two). 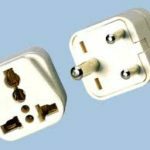 Adapters are not?always easy to find in the UK and can be expensive. ?If you can’t find one prior to travel don’t worry.? Our hotel is well placed next to lively markets and bazaars and you should be able to?find one cheaply too.? Giving yourself a mission to?get one along the colourful stalls can be enjoyable too! In a second excerpt from our guide to India, here’s an article about Indian food (and drink). We hope? you enjoy it. Of course we all know a little about Indian food but here’s some information to get you started: There are many vegetarian curries, and Paneer (a non melting cheese) is often used in a vegetarian curry.? Palak means spinach, so Palak Paneer curry is often green with cheese. Muglai curry (from Mogul culture) uses slightly different spices to regular Indian, as does Rajasthani food (Murgh means chicken). 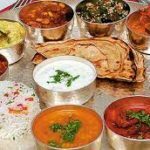 It?s not so easy to find Rajasthani dishes in all tourist restaurants.? Massala means sauce; Chicken Tika is a dry and flavoursome dish cooked in an oven, whereas Chicken Tika Massala is the same with an added sauce. Aloo means potato. Jeera is cumin seeds and often offered with rice or potato (sometimes called aloo jeera which adds a little more flavour). A Thali, often served in a stainless steel tray is a small and simple variety of foods often; pickles, some bread, yoghurt to dip and so on (see the picture). Lassies are yoghurt based drinks in different flavours – plain or banana are very good. The most popular beer is Kingfisher, which usually comes in 650ml bottles (about a pint) and varies in price from (lowest) ?1.50 to ?3. If you like cocktail mixes such as a gin and tonic, the spirit is often brought separately in 30ml or 60ml glasses to add to your tonic to suit. Rum, whiskey etc are available. Indian wine varies in quality but Sula (Red, White and Rose varieties)?is fairly good. As in all our Angel Holidays tours, a specific guide is written to accompany each journey. This is given to travellers shortly before?arrival and includes travel tips as well as more general country information.? In?the run-up to our holiday to?India,?we’ll be posting some excerpts from our Indian Guide. This first one; covers the history of the British in India.? ?We hope you enjoy the read. The last 350 years in the Indian sub continent have seen huge geographical, political and national change. From the fall of the Mogul Empire to British trade, to colonialism, Indian Independence, its partition to Pakistan and to ?modern? India; that coexists with ancient spiritual and social traditions today; it is utterly fascinating. For a context of where the country is today and to appreciate some of its history, as well as some of the experiences on this tour, it is?good to briefly examine the history of the British Empire in India. It is fascinating to think how a relatively small number of British could eventually assume control over a sub continent and population of millions.? This assuming of power was gradual with its foundations through private capitalism and the East India Company (see below). In the 1600?s there was already a lucrative trade in spices with the East Indies (modern day Indonesia). This was profited mainly by the French and Portuguese. The British East India Company was a conglomeration of London?s city investors looking to capitalise on this market. Profits from spices such as nutmeg were lucrative. Volume of spices to profitability was substantial (perhaps like modern day tea or coffee); early shipments recorded a profitability of 250%.? Yet investment was high. Building ships and sending them on long voyages with several months at sea with inherent risk, resulted in a much more palpable arrangement of the sharing risk by way of the shareholders and the new East India Company was born.? This became a template for conglomerates today. The East India Company was formed to trade with the East Indies but ended up trading mainly with the Indian subcontinent and Qing China. Originally chartered as the “Governor and Company of Merchants of London trading into the East Indies”, the company rose to account for half of the world’s trade, particularly in basic commodities including cotton, silk, indigo dye, salt, saltpetre, tea and opium. The company also ruled the beginnings of the British Empire in India. The company received a Royal Charter from Queen Elizabeth I on 31?December 1600, making it the oldest among several similarly formed European East India Companies. Wealthy merchants and aristocrats owned the Company’s shares. The government owned no shares and had only indirect control. The company eventually came to rule large areas of India with its own private armies, exercising military power and assuming administrative functions. Despite frequent government intervention, the company had recurring problems with its finances. As a result the company was dissolved in 1874. Ironically, in India the British did not find the volume of spices?they were expecting, instead they found cotton and silks that could be used for inter trading with Indonesia to buy spices (fabrics would later also become lucrative with ?fashionable Victorian England and the British industrial revolution). They also found opium in India that could be sold to the Chinese to buy tea (although the British would eventually create tea plantations in India). Initially the company made trade agreements with India?s then Mogul Emperors and Maharajas (in return for great European wealth and luxuries). Small British trading settlements were permitted by Mogul Emperors that gradually became militarised in an effort to protect their interests against the French or Portuguese.? With the gradual erosion of the Mogul Empire (due to in-fighting and feuds) power vacuums were to be gradually replaced by the British.? Trading settlements became larger, and the British Government secured profitable trade, in an increasingly volatile environment by pursuing the further advancement of protective troops. What is interesting is that the procurement of soldiers came mainly from India. The British initial ?economic empire? through the replication of the EIC across the world, meant that there simply weren?t enough British troops to go round. 250,000 troops were eventually secured into the British army (and a navy) in India, most of whom were Indian, trained in ?British warfare and practices.?? As a consequence of British enlargement of the EIC ? in the sub continent and the world, a major turning point came (and perhaps one purposely eluded by private financiers in London for so long); the British government effectively nationalised the EIC, and with a depleted Mogul influence ? India would change from trading partner to protectorate, and then become part of British Empire. But the change would see moral change too (please see below ? Lord Cornwallis). It is useful to mention here the Maharajas. The sub continent constituted of over 600 princely states, virtually all controlled by the Maharajas, particularly after the removal of Mogul Kings , although many of whom were in feuds with each other. Through a combination divide & rule, of coercion, flattery and most of all privilege from Britain ? and its royal family -? the British nurtured the Maharaja?s favour, who in return, would keep their own populations of natives ignorant and at bay.?? British governance in the 18th century (likewise on home shores) was one of the ruling elite – a governing class where, favouritism, bribery and corruption was common place.?? In one year, just in the East India Company?s South India section for example, the list of senior and governing civil servants consisted one peer, 19 sons of Peers and 12 Baronets. Corruption was widespread. Lowly paid imported British civil servants, created a veritable industry in small scale bribes for the granting of trading agreements between Indians and the British. Their superiors, wealthy senior ?civil servants? (see above – known as Nabobs), exercised this principle on an industrial scale. Through absolute, unchecked power, two months by ship away from the mother country, they made millions.? Robert Clive, a Viceroy to Indian in the 18th century for example, procured ?rewards? on an epic scale (his mansion still stands in Mayfair), despite his extravagant wealth he is quoted as saying: ?That what I could had had, I was amazed at my own moderation.? Senior civil servants in India grew callus, licentious and luxurious beyond conception.? Even today their transactions seem impressive. In 19th century Madras, one senior official was said to have had ?1.2 million sterling in bribes. ?This hold on power on wealth became increasingly militarised and the tide had turned on the Moguls.? Any Mogul leaders for example, who attempted to revolt against increasing British influence would be now defeated in war. From the first half of EIC rule, where the emphasis was on the greed for trade, power and financial gain, it is easy to dismiss the entire British occupation of India as one of racism, elitism and exploitation, typical of the British Empire (and perhaps of the human condition of corruption and power the world over). But the British time in India was over 250 years. In this time there were good men too ? pioneers, adventurous men and women of development and of compassion. The development of the British Empire in India was not a smooth road. This is often overshadowed by a generalistic dislike for imperialism. In 1951 Lord Radcliffe (an eminent Lawyer who played a leading role in the partition of India) said in one of his Reith lectures ?The British have formed the habit of praising their institutions, which are often inept and ignoring the character of their race which is often superb. In the end, they?ll be in danger of losing that character and being left which their institutions, the results disastrous indeed.? In context of British achievement, in 1750, the East India Trading Company was merely a scattering of merchants mainly in Madras and Calcutta. A hundred years later, the British were masters of India and a hundred years on, they had left great infrastructure developments such as the railways, institutions, architecture and some social development ? the efforts of the British Empire maybe something we still benefit from today. Despite the ?warming? of business transactions through bribery and corruption (described above), the British had to fight for their position in India.? Against the French (who were in India first), provincial governors of a dying Mogul empire (many did rebel against British progress) against the Indian warrior Tipu in the South, Marathars in central India, the Ghurkhas in Nepal and the Sikhs in the northwest.?? Throughout British rule there were wars of aggression, punitive wars and wars of defence. The British men who led campaigns were young, ambitious and courageous. By the 19th Century the East India Trading company needed moral reform. The British government recognised this. And it was to come from Lord Cornwallis, who was sent out to India as Governor General at the age of 48.? By accounts he was a quiet, family man with little personal ambition, yet with an acute intelligence and sense moral fairness.? It was Cornwallis who would create the foundation for reform, to redress the relationship between British rule, its perpetrators and the oppressed. His first major change was to sever the relationship between civil servants and trade.? No longer would civil servants be in a position to award contracts, to assign land for example, they would be facilitators of trade rather than decision makers. Low paid civil servants were given a decent salary and regulations were issued to stop corruption.? Trading in India (and those who were on a position to control it) would no longer be under the control of the aristocracy.?? 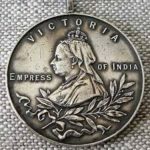 The transition from trading post to India becoming part of the British Empire would now see a change in emphasis for ?greater men to rule the empire and for the greater good.? The British who now went to India were now given modest salaries, separation from family and home quite possibly for life, modest living conditions, heat and discomfort. Many would meet an early death by violence or disease.? Genuinely egalitarian boys came out at 15 or 16 likely never to see families again but this was their opportunity for adventure, responsibility, advancement and power.? The British class system however, still prevailed – much like the UK today – most senior military or political positions were given to the well educated.? Many young Estonians found themselves in command India (albeit in some difficult circumstances). This was an age where, unlike the 18th century, many young British men ruled India. They had a nerve, courage and a sense of duty. This did combine with absolute power but unlike their earlier incarnations, they were strong enough, largely, not to abuse it.? In the India they inherited from the EIC they found chaos and corruption which gave them a sense of duty to control it. They came with an ethos to both protect British trade and readdress the oppressed who helped create it. They respected local customs, and increased individual rights for law and reform. The British survey of land and ownership for example; that considered land rights for different castes, ethnic groups, tribal fraternities and religions, and its subsequent redistribution, was the most comprehensive survey in modern times. In effect, the British overruled landlords in a fairer distribution of land to peasants. 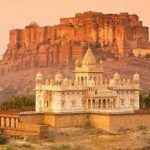 Some Senior British leaders became painstaking historians, composing Persian grammars, documenting Rajput histories, writing volumes of travel in the subcontinent which became in vogue of the day.? Sir John Malcolm?s? (a Scottish Major General in India) ?Central India history of Persia? written while he lived a year on Punjab for example, is a leading example in documenting history.? The British protected local monuments and were seen as builders not destroyers. Many British leaders explored young and died early. Burns for example, Scottish officer, was cut to pieces by a mob in Afghanistan.? Connelly (another General) put to death after being imprisoned for 35 years. These British men who built India had a greatness that preceded their age. In an example of the new British ferocity to develop India, Tailor a road builder (age 24) in Punjab, laid down the law that his employees (both Indian and British) were to have ?no leave unless men are sick as there is still so much to do.? Monroe (a Glasgow born mild mannered Infantry Man – who became governor of Madras) declared that ?British rule was to bring benefits, peace, order, security and protection to the Indian.?? His attitude was said to be to ?for the British to get out when Indians could provide it themselves.?? Although, as we can learn from modern military fair in the Middle East? today, it is often easier to get in (in the case of India ? a decaying Mogul empire) than to get out. It is probably fair to say that the British also in the 19th century must have had an aristocratic feeling towards colonisation; perhaps noble words written for history by Viceroys have an element of the righteous, political and ego written into them.?? Nevertheless, there was an under riding feeling in a more humane and sensitive administration. Quoting Monroe again, who spoke about his work in India.? ?Your rule is alien and it can never be popular, you have much to bring but can?t look for more than passive gratitude, you aren?t here to turn India into England or Scotland. When in their fullness of time, your subjects can maintain worthy government for themselves, get out and take glory of your achievement and sense that you have done your duty as the chief reward for your exertions.?? Monroe died of cholera in India. In another example, Henry Lawrence a Viceroy, a man who built a multitude of schools that still stand in the country?s hill stations, who was the victim of a siege in Luknow and died of cholera where his tombstone still stands, instructed that these simple words be placed upon it.? ?Here lies Henry Lawrence, who tried to do his duty. May god have mercy on him.? The increasingly mood towards Indian independence began as early as 1857 with a rebellion; listed as a mutiny or rebellion, depending on which side you take. Skirmishes, small battles and demonstrations became more widespread in the move for self rule. With Ghandi, who would later be described as ?father of the nation? who led a movement in non violent protests, the mood was set. With increasing unease the British had promised Indian independence in return for India?s involvement in the 2nd World War. In 1945 Atlee set this agreement into motion, first involving Ghandi and Muslim leaders who wanted a separate Muslim state; a Pakistan (that would geographically occupy the north, including the later formed Bangladesh) and a Hindustan (modern day India) for the Hindus. However both Muslim and Hindus? failed to reach agreement.? Gandhi walked away to be replaced by Nehru who would become India?s first Prime minister.? In 1947 Atlee sent Earl Mountbatten to Shimla who was to be India?s last Viceroy and facilitate its independence.? With increased Muslim pressure and violence, even the burning of cities, Mountbatten was given under three months to end a 300 year presence of the British in India.? The ?Partition? of India was arranged.? The result, ten million people moving to and thro, between India and what was to be Pakistan (Bangladesh achieved their own independence in 1971). One million people died in war and conquests across this route.? The British had gone, it was a new India, and everything would change. Through documented history it is impossible to fairly assess the effects of British rule in India. By very nature, documentations are written solely by one side. Ask any Maharaja, and they may long for the return of the British. Even an old Indian man, on the side of a busy chaotic Indian street, may hanker for a time of order and the British. But this would be rare.? There was, of course, much exploitation and cruelty, destruction and snobbery too. Many British would have viewed the natives with some sense of superiority; of master and servants. The British had largely left behind a broken people. Today, the dust may have long drifted over the memory of British rule. Yet this history is still quite recent.? Through a cursory glance at some of the old buildings, the railways, the obscured institutions, the language itself, or even the opulence of the Maharajas ? you?ll capture glimpses of the British Raj. A British soldier, who had to stay on in India until 1948 to help oversee independence, once commented, ?the grand British buildings are full of ghosts.?? Looking at the obvious ?Britishness? of the old buildings, you mind find it is easy to see why. For those coming on our first trip to India in 2016, you will need to start thinking about Indian visas. Note that the Indian government have?changed the application process.? 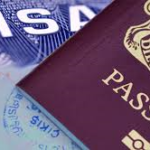 Formerly the visa?would cost over ?100 and would allow either double or multiple entries over a year long period, usually up to six months maximum stay in any one year.? ?This service?has been outsourced to an agency called ‘VFS global’ an agency employed by the Indian Commission.? The processing/secure postage fees can add?another ?20/30 to this service??? (see: vfsglobal.com) so it can be expensive. However, the Indian Commission have also introduced a new?online visa process.? ?The cost of this is around ?45 ($60)?plus any credit/debit card fees. ?For the online?visa?you can only apply for this up to 34 days before travel. So for example, if?you are arriving?in Delhi on 29th October, you can only start the application around 26th September. This lower cost?visa?allows?up to 30 days in the country,?and can only be applicable to certain ports of entry (Delhi being?included). As with most?services online these days, you will need to do a little admin to apply. You will need to scan a copy of your passport for example, as well as create some digital online photographs of yourself for the visa.? ?The link to this?online application is below this message. Our advice is to start getting digital photos ready early, so that you can apply speedily 34 days?before travel. What colour underwear did you wear on New Years’ Eve? Peru – underwear for New Year! Peru, a country we’re visiting with our group this August, has like the rest of us just celebrated new year. However did you know that they traditionally wear and gift yellow underwear over new years eve? Our holiday to Nepal has been featured quite extensively on British radio with a lovely interview with one of our guests from a?previous trip. Chris came all the way from Canada to join us for her holiday to Nepal. ?Here she talks about each aspect of the trip and some of her highlights; from flying over Everest to riding elephants in the jungle. There’s Nepalese music too which is both beautiful and haunting. For those who traveled with us previously on a holiday to Nepal this will hopefully bring back some wonderful memories and also whet the appetite of those coming on holiday in 2015. ?Why not ‘cut & paste’ the link and download it to your MP3 or PC? ?Please go to the ‘what our customers say’ page (click the link above) on this site to download it. We hope you enjoy it. Many travellers ask when is the best time to visit Nepal. In a nutshell it is either April, October or into early November. Within these dates you have to also consider local festivals (as Angel Holidays do). Whilst some festivals are good to experience others can result in national holidays with closed shops and services over extended periods. Tours after mid November are considered winter and it can be chilly at night. ?For trekking too, temperatures (depending on altitude) can plummet. Everest base camp for example can see temperatures as low as minus twenty in November. Likewise January until March are also low season. The skies can sometimes be not clear, and temperatures too cool. May to Sept is a combination of hot and humid and the rainy season. This is why we operate our tours in April or October, expect warm temperatures and long sunny days of between 24 and 30 degrees.